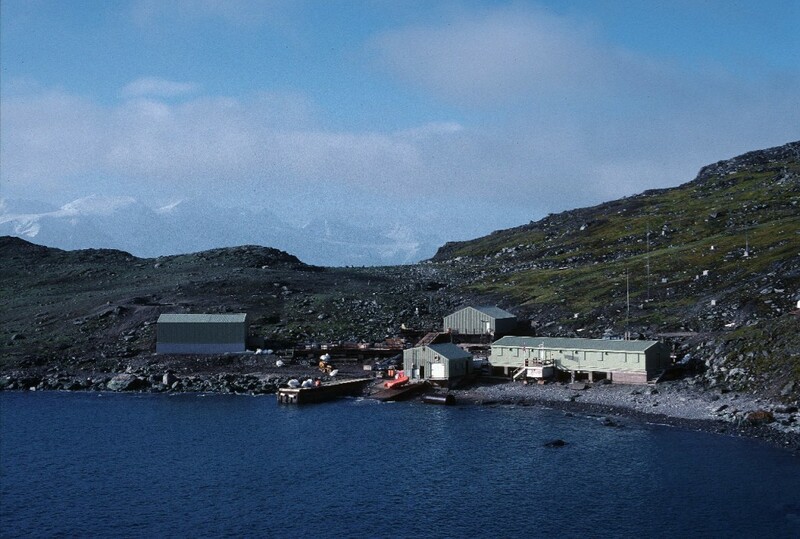 View of Signy research station at the end of the summer season, after the successful demolition and removal of dissused buildings and facilities. 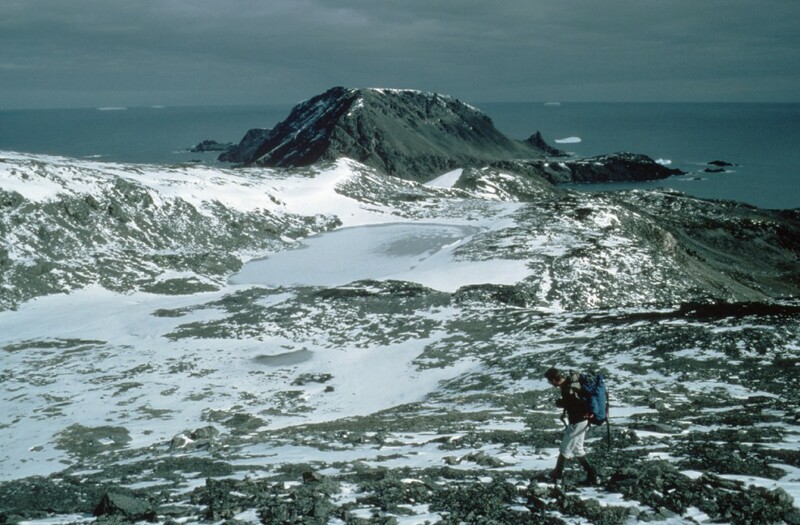 Signy Island is a small sub-Antarctic island, 6.5 km long and less than 5 km wide. There is permanent ice cover over a large part of the island, which rises to 288 m. In the summer, extensive areas of moss and some grasses are exposed, and there are numerous freshwater pools and lakes. The ship usually moors at anchor between Coronation Island and Signy Island. Because of its location Signy station is not usually visible from the ship, so the first indication of the BAS presence will be a small box hut on the rocks. Once in the transfer boat and heading into Factory Cove, the small bay opens out to the right and the station buildings become visible. Upon landing, the small building directly at the foot of the slipway is the old boat shed – now housing the generators and the reverse osmosis planto for making fresh water. From here, walkways will lead you directly to Sørlle House balcony, the main building. Once inside, the bar / lounge is to the right, and offices / pitrooms are to the left. The northern end contains the laboratory and science areas. Walks to the glaciers start from the shoreline and head right from the jetty on well-defined tracks. Gourlay Hut is worth a visit during the summer, as penguins and fur seals congregate there. Whale bones litter the islands where whaling was carried out. It is illegal to disturb or remove any however. An alternative, shorter walk can be taken to Cemetery Bay which is only about one mile over loose rock and mud terrain with sparse vegetation. The first part of the path is a climb of several hundred feet. The area around Cemetery Bay is full of wildlife. Fur seals helpfully warn of their presence by growling as you approach. Elephant seals are also around the bay and are much larger and less irritable. They are also much slower. Gentoo penguins can often be seen in the area, also dodging their way between the odd pair of fur seals tussling on the beach. There are four white-painted wooden crosses in the cemetery. These date from the period of whaling activity at Signy in the early twentieth century. Some large chunks of whalebone also scatter the beach. Beyond the cemetery lies the active edge of Orwell Glacier. This is the limit of the walk as the glacier blocks access further down the coast.